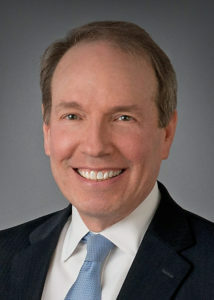 Thomas Heywood is the Managing Partner of Bowles Rice, acting as the firm’s CEO. His responsibilities include overall operations, practice management and administration and strategic planning and growth. Tom has significant experience in health care, banking and corporate/commercial law, and is frequently called upon by clients and community leaders for advice on business matters related to acquisitions, divestitures and other transactional matters. An experienced facilitator, he frequently assists businesses and organizations in the strategic planning process. As a former Chief of Staff to the Honorable Gaston Caperton, Governor of West Virginia, Tom has extensive experience in dealing with government officials at the local, state and federal levels, and is the leader of the Bowles Rice Government Relations team. Tom serves on many charitable and non-profit boards, and actively participates in various business and economic development organizations and trade associations, including the Claude Worthington Benedum Foundation (2012 to present), the Discover the Real West Virginia Foundation (President, 2011 to present), the West Virginia Roundtable (Chairman); the West Virginia Manufacturers Association (Government Affairs Chairman, 1993 to present), the West Virginia Chamber of Commerce (Board of Directors), Vision Shared and Imagine West Virginia (Chairman, 2013 to present). He is a member of the West Virginia University Board of Governors. He is a former member of the Board of Governors for Southern West Virginia Community and Technical College, where he served as Chairman for more four years. He is currently a member of the Executive Committee and the Finance Committee (Chair) of the West Virginia University Hospitals Board of Directors and a member of the Executive Committee and Finance Committee of the Board of West Virginia University Health Systems, Inc. He is active as a leader in many civic initiatives and organizations and has received numerous awards for his public service.